So, the next week before my Mum treated me to Lunch, we went to Hotter to get me some shoes. 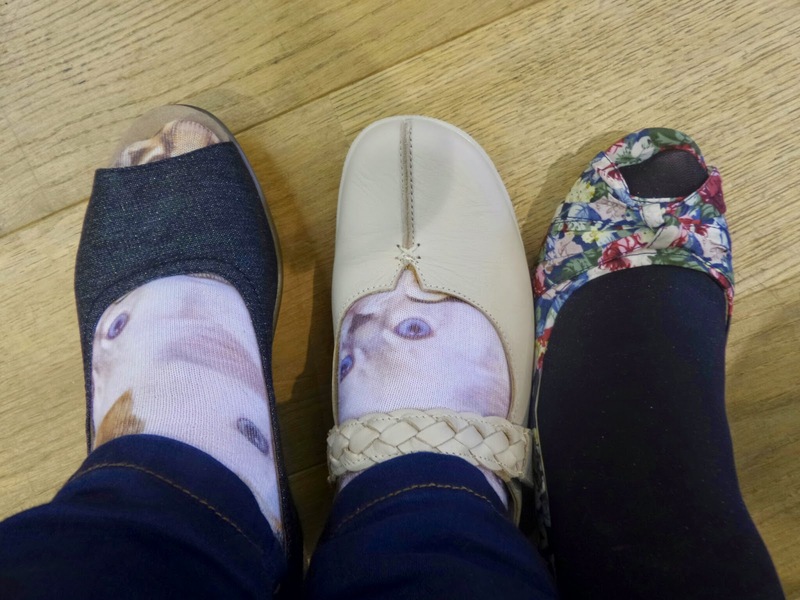 We looked all around the store, at all the shoes that were on display, picked them up, held them, looked to see what the soles were like, how flexible they were, how comfortable the insides were and eventually I'd narrowed it down to two different pairs. This was when the store manager stepped in. Why not try them all on? Well, the ones I like anyway. I couldn't decide what I wanted and then my Mum asked me what it was that I was wanting from the new shoes. I thought for a while, whilst watching the staff serve various customers and finally answered, that I needed something comfortable to wear whilst walking and for maybe wearing to Church or when I'm running to the Supermarket or... Suddenly I knew I didn't want the summery heels. It was only as I was paying that I realised I'd pick the same shoes I'd had before, just in a different colour. 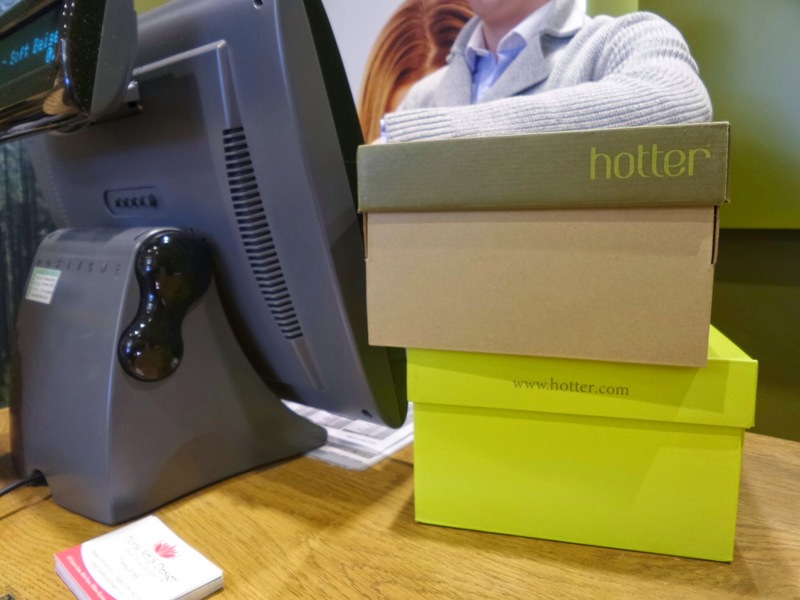 The staff at Hotter were absolutely fantastic, and watching them interact with different customers was like a masterclass in brilliant customer service, especially the manager who was just covering this store and was also modelling some rather lovely Hotter shoes (for Men obviously!). 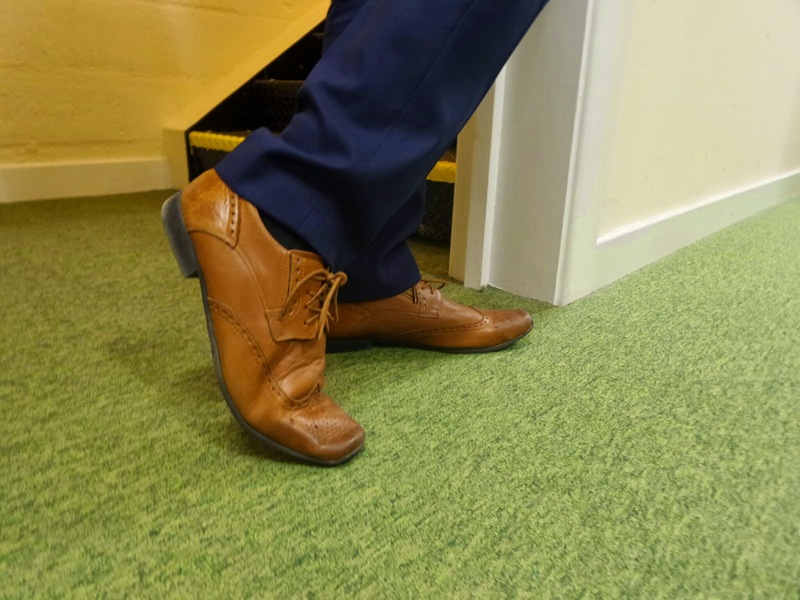 And yes, some of the customers were of a more "senior" variety, but good shoes are good shoes no matter what your age! As the manager was so lovely, I took advantage a little and asked if I could see his store room... and he said yes. Oh and if he's reading this it was a very important part of the review, look there's a photo of the neat rows of boxes and everything! In the end I did get a pair of Shake Shoes (in Soft Beige and I think the Shake range from Hotter are the most comfortable shoes on earth) and my Mum tried on a pair of Cruise Wedges (in Navy Floral) which she was also given as part of the review! To say my Mum was excited is an understatement, she walked round the rest of the shopping Centre holding the bag and I wouldn't say she was showing off as such, just you know, showing off! I've told Daddy that I'm going to go and get a pair of Heather Wedges (or maybe three, one of each colour!) as soon as funds allow as I did love them, I just didn't think that heels would be any good for walking the three or four miles a day that I try to walk. I received two pairs of shoes in exchange for this review.